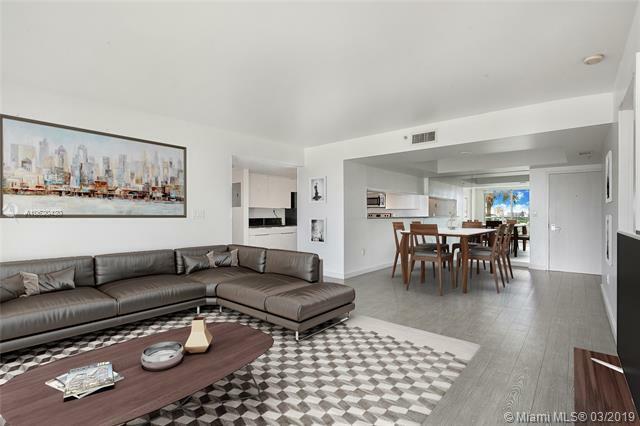 Bright and spacious one bedroom in The Floridian South Beach. 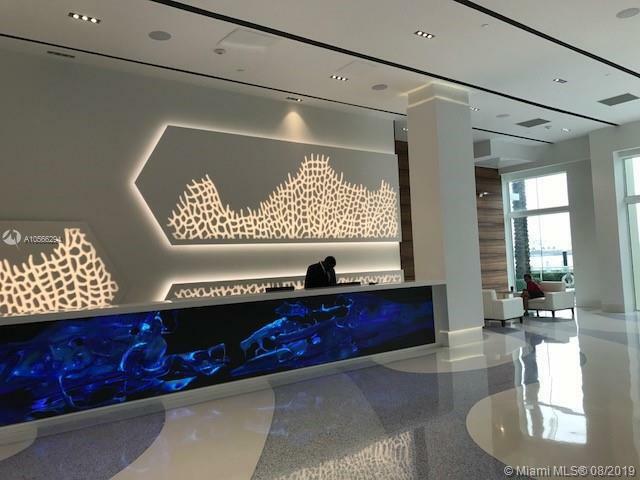 The recently renovated building has a completely new and chic look & lobby, hallways, mail room and elevators giving this luxury building a modern twist. This 1bed/1bath condo features ceramic flooring throughout with brand new laminate floors in bedroom. 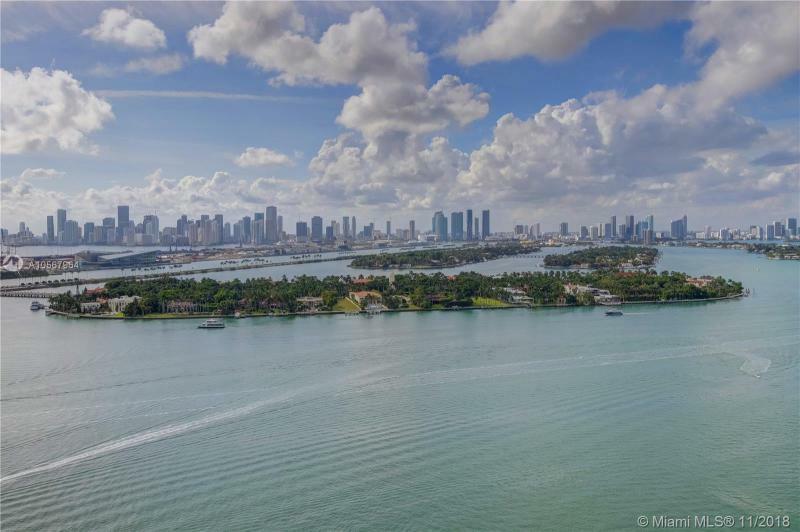 Building offers top-of-the-line services to residents & features 2 pools with direct bay and downtown Miami skyline views, Jacuzzi, Fitness Center, Spa & Hair Salon, market, tennis court, bbq area, 24 hour valet, security and concierge. Deeded parking spot on 3rd floor right near unit. Stroll down to Whole Foods for your shopping or stop at Starbucks for your morning brew youre next it it all.Priced to sell! Easy to show! *Direct bay renovated unit. **Best DIRECT BAY price in the building* Compare to others listed from $530K-$575K. Hurry. Act now. This one will not last. New flooring, SS appliances, popcorn ceiling removed, open kitchen, newly painted, new lighting, new closet doors, upgraded cabinetry and new bathroom vanity. See virtually staged renderings. Best Location. Walk to shopping, dining and grocery stores. 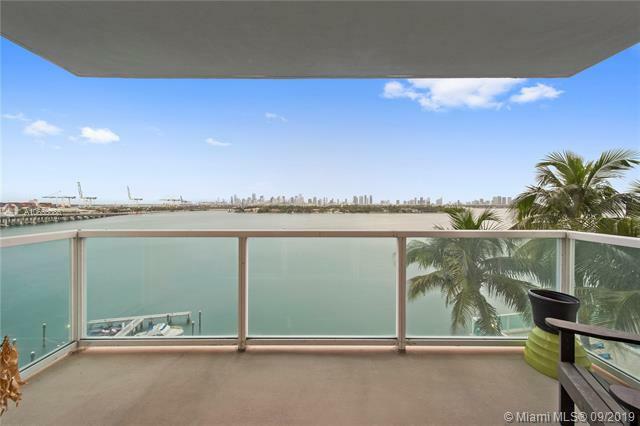 Unit features unobstructed direct views of Biscayne Bay, Downtown Miami Skyline, Sunsets, Cruise Ships and more. Enjoy luxury amenities including TWO bayfront pools, tennis, poolside food/beverage, gym, spa, gourmet market, etc. Full-service and impeccably managed Condo with 24 hour services and on-site management. All amenities included as well as high-speed internet. 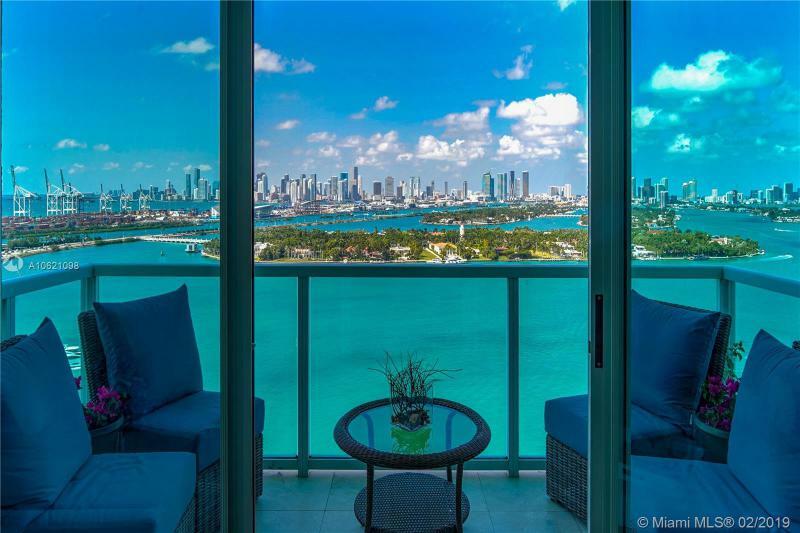 Spectacular direct bay view from the moment you open the door at this tastefully renovated apartment at the Floridian in South Beach. Open chefs kitchen with a beautiful integrated wood dining table. Top of the line Miele Appliances with coffee maker and counter depth refrigerator hidden in new the Italian cabinetry. New lightning system with dimmers and Nest Thermostat. Fully renovated bathrooms, all done in a modern European style. Furniture is negotiable. The Floridian is a full service building, with hair salon, convenience store, valet parking, tennis courts, two pools and just steps away from the best of south beach. Walking distance to amazing restaurants, supermarkets and stores. Become one of a privileged few to enjoy the best Day AND Night views in Miami. Views from every room. Bay-Sunsets-Cruise Ships-Ocean...and more. This fully redesigned & renovated 3 bedroom layout was converted to a large 2/2.5 with nearly 1400SqFt. The only one like it in the building. Gut-renovated in 2017. Just completed in 2018. Exquisite wood flooring throughout. Redesigned open kitchen with bar/countertop positioned to maximize the gorgeous bay views. Enlarged living room. Custom smart house with all lighting/temperature/music/etc controlled via smart phone or tablet. Italian doors and cabinetry. The highest quality fixtures and appliances. All new AC and ductwork. Painstaking effort made to open the space by removing soffetts, sprinklers. Custom lighting.